Your one-day reminder for The Bishops' Call to Prayer Friday intention is here! 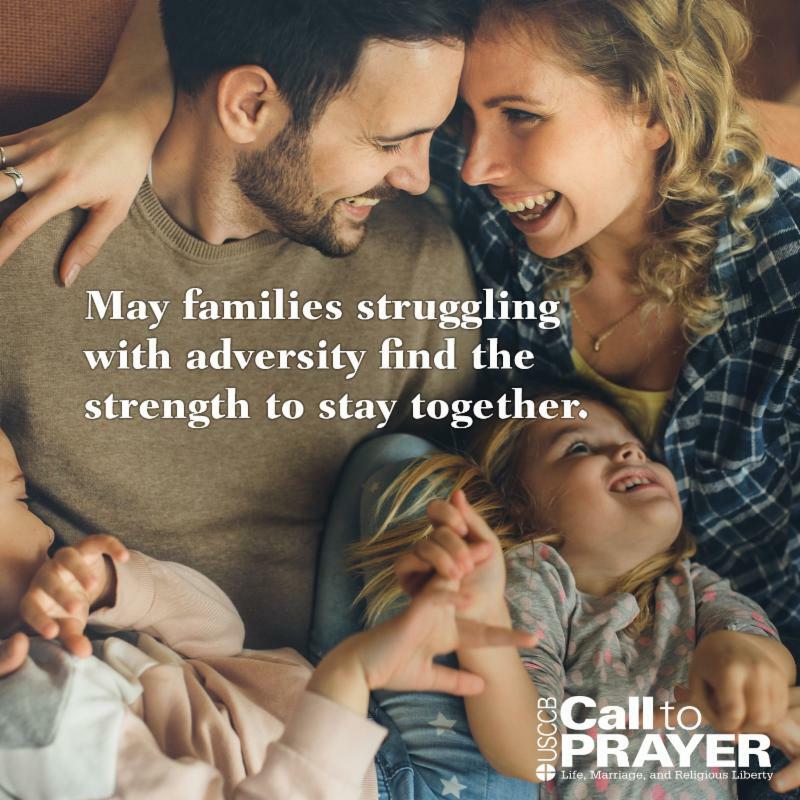 Thank you for joining the USCCB and thousands of Catholics praying and fasting every Friday for the renewal of a culture of life and marriage, and for the protection of religious liberty in our country. Your prayers matter! Your sacrifices make a difference!